If you do not meet the criteria to file for a Chapter 7 bankruptcy, you still may be eligible to file a Chapter 13 bankruptcy. However, there are some key differences between the two that you must understand before you file. Here’s what you need to know about Chapter 13 bankruptcy in Florida. In a Chapter 7 bankruptcy, non-exempt assets are liquidated and the funds are used to pay down your debts. In a Chapter 13 bankruptcy, however, none of your assets will be liquidated. This makes a Chapter 13 bankruptcy a great option for individuals who are still overwhelmed with debt, but want to keep their valuable assets and property. For an individual or married couple to be approved for a Chapter 7 bankruptcy, their income must be at or below the median income for a household of their size in their area. In some cases, individuals and couples who do not automatically meet that criteria may still be eligible for a Chapter 7 bankruptcy if their debts are significantly high. However, your income can be higher when you file for a Chapter 13 bankruptcy. In fact, with this type of bankruptcy, you must show the court that you make enough money to satisfy your repayment obligations after essential expenses, like rent or mortgage. Typically, a Chapter 7 bankruptcy will stay on your credit for ten years after the date your bankruptcy was finalized. However, a Chapter 13 bankruptcy may only stay on your credit for seven years. In some cases, credit bureaus will leave the bankruptcy on after seven years, but you can usually dispute this and have the bankruptcy removed. You will not be able to file for a Chapter 13 bankruptcy in Florida if you are behind on filing for or paying your income taxes. The court will require you to provide proof that you filed your income taxes successfully for the four years prior to filing for bankruptcy. If your taxes aren’t current, you may be able to be granted some extra time to get caught up before filing. Otherwise, your bankruptcy case will be dismissed. If you are overwhelmed with debt and don’t meet the criteria to file for a Chapter 7 bankruptcy, you still may be able to file for a Chapter 13. For many families, a Chapter 13 bankruptcy is the more beneficial of the two. By contacting a seasoned Florida Chapter 13 bankruptcy lawyer, you can learn more about your options and take the necessary steps to move forward with filing. 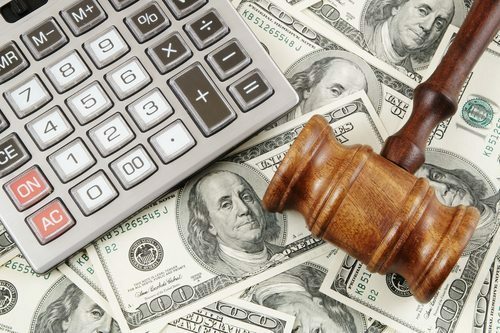 At the Law Firm of D.C. Higginbotham, we can help you get your finances under control. Contact us today at (904) 354-6604 for a consultation to discuss your case.